Almost all business success stories start off small. That means if you have a budding small business idea worth pursuing, you shouldn’t be afraid to begin by setting up shop at home. In fact, both Amazon and Apple were started in home garages. In addition to this, the Small Business Administration (SBA) found that 50% of all firms in the U.S. are home-based. If that’s not encouragement enough for you to start your small business from home, then keep reading for 30 tips on achieving success. 1. Create a positive work environment. Ergonomics at your work station. Your computer, desk, chair, and keyboard should all fit you. This will help you be the most productive you can be. Lighting of your home office. Your office lighting shouldn’t be too bright or too dark. For instance, glare from your computer monitor can cause eye strain, just as dim lighting can. 2. Keep your costs low. 3. Find like-minded individuals to build your team. 4. Check your small business’s idea thoroughly. Search Google, YouTube, and other sites to make sure the product or service you provide doesn’t already exist. If it does exist, figure out ways to improve it or make it more distinguishable. Create a business plan to help organize your ideas. Create a minimum viable product or prototype to help you determine how the market will receive your product. Determine the right price for your product, by looking at what your industry competitors charge and what customers already pay for it. Assess if you’ll be able to make a profit, by comparing estimated expenses with estimated profits. Keep in mind that successful products and services generally solve a problem customers face. If you sail through these steps with ease, your product or service idea is likely worth the effort. 5. Create your small business’s identity. 6. Get the right insurance protection. 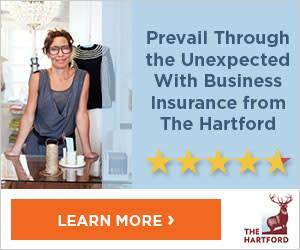 It doesn’t matter where your small business is located: You’ll want the right home based business insurance protection. Typically home-based businesses need professional liability insurance and general liability insurance. Depending on how you operate and what industry you’re in, you may need more coverage. In some cases, a Business Owner’s Policy (BOP) is a good idea. 7. Get a general business license. In most cases, small businesses need at least a general business license. This allows your revenue to be tracked for taxation. This is especially true if you plan to sell goods or services to customers. Check to see what’s required by your local town or city. 8. Understand small business taxes. Before you start your small business, you’re going to need to know the tax laws that may affect your home-based business, including which business expenses are deductible and which aren’t. Also, under the new tax law, in effect for 2018 taxes, many pass-through businesses—which include sole proprietors, partnerships, and LLCs—can now receive a 20 percent qualified business income deduction. 9. Continue to look for ways to evolve your product and ideas. The world is always changing, and that means you’ll need to change with it to stay relevant. Just because you’ve successfully nailed down a business idea, this doesn’t mean you won’t need to make modifications based on new technology that arises. Staying on your toes and being adaptable can help ensure your product or service doesn’t become stale in your market. Is It Legal to Run Your Business From Home? Starting your small business from home probably feels like your safest and easiest option for achieving success. However, it’s not ideal in all locations. In some areas, it may be illegal to run a business from your home. This can depend on your lease or your area’s zoning regulations. For instance, say your home is in a residential neighborhood. Many residentially zoned areas forbid business operations. To get a variance, you’ll want to contact your city or town officials. 11. If you rent, read your lease thoroughly. Leases typically outline what is or isn’t allowed in your apartment or rented home, so you’ll need to read your lease carefully to see how it affects your starting a home-based business. For instance, say you have a silent lease. This means you can’t have a business that makes noise and disrupts neighbors. In this case, you may be able to have a business so long as it doesn’t make noise. 12. Don’t be afraid to move. If you have a powerful new business idea or your current home-based business is thriving, don’t throw in the towel just yet. If zoning or a lease is prohibiting your small business’s initiatives and constraining your growth, a move may just be worth it. If you’re excited about the flexible working hours and reduced expenses that come with home-based businesses, it gets even better. Keep in mind that you can only write these items off when you use part of your home “exclusively and regularly” for conducting business activities. This deduction can be applied to homeowners and renters who reside in a single-family home, an apartment, a condo, or even a houseboat. It cannot be applied to temporary living situations like hotels. The home office tax deduction is based on the amount of your home that is dedicated to your business activities. To figure this out, you’ll want to calculate the percentage you use. One way to calculate this is to find the square footage of your area. For example, say your home office measures 100 square feet, and the total area of your home is 1,100 square feet. Your business use percentage would be 9% or (100 / 1,100). Professional tax preparers and programs like TurboTax also can help you determine what your deduction would be. Keep in mind that you cannot use these loans to pay your debts. You also can’t use them to buy real estate. This involves selling your small business’s unpaid invoices for cash right away. For example, say you sell invoices that are worth a total of $15,000 to a factoring company. This company will then charge you a fee and provide you with a cash advance. In this scenario, say they charge a 4% fee; 4% of $15,000 is $600. They will then provide you with an initial advance of cash. This advance will be a certain portion of the $15,000. Once they’ve collected your unpaid invoices from your customers, they will provide the remaining amount of the $15,000. The total your small business receives in the end is $15,000 minus $600, which is $14,400. The main benefit of factoring for small businesses is receiving cash fast when you need it. Instead of getting a loan from the bank, you can go through a peer-to-peer lending firm. These firms match borrowers up with investors. Through this matching process, investors get to pick which loans they want to fund. You could use your home equity line of credit to get a loan for your small business. This option is cheaper than other options, but it comes with a notable amount of risk. For instance, if you fail to pay your loan or your business fails entirely, you could lose your home. This is an option that countless small business owners turn to. As you probably already know, if you don’t pay your credit cards off timely, you run the risk of accruing expensive interest charges or even ruining your personal credit. Asking family members for a loan is an option. However, if you don’t pay the loan off, then you could run the risk of damaging your relationship. This can be especially true if it’s a loan for thousands of dollars. 21. Identify your target market. Figure out what domain name you want. You can buy domain names through providers such as GoDaddy, Squarespace, Wix, or Web.com. Typically, you want to choose a domain name that is easy to remember and that ties in with your branding. This means it should be short and use keywords. It also should avoid numbers and hyphens. You also should avoid visual clutter and always keep your web pages’ content up to date. It also can be beneficial to place strategic calls to action throughout your website. These calls to action can include “sign up” or “subscribe” buttons placed in notable locations. Prepare to publish your website. You can use social media to market your website to customers. Your social media platforms should always link to your website. However, before you publish your website, make sure it loads as quickly as possible. Also, be sure that it’s mobile friendly. This is becoming especially important, as smartphones are increasingly used for online shopping. You want your website to be easy to use, accessible, and convenient for all your customers. Enhancing your social media presence. Blogs create content that you can then promote on your social media platforms. This content helps engage your customers beyond your social media posts. Your customers also can click through from your blog to your website. Establishing yourself as an expert in your industry. Writing new posts on your subject matter allows you to share knowledge with your customer base easily. Through this knowledge sharing, you can establish yourself as an expert in your field. Increasing your customer base. Blogs give you visibility. They allow others to discover your small business and the products or services you offer. You can share blog posts on social media platforms. This can help increase your reach further. Each post your blog makes should aim to provide useful information and updates on important and relevant topics. Developing stronger branding. Blog posts help your brand build trust with your customers by providing insights and useful information. Through this, brand loyalty and brand awareness can be fostered. The more posts you make, the more opportunities your customers have to interact with your brand. This can help keep your brand top of mind. Also, as more people discover your brand, you may be offered more business opportunities. Growing your email list. You can create opportunities throughout your blog’s website for customers to join your email list. For instance, you can place opportunities near your blog’s website header and footer. You also can put them in each blog post. Placement is really up to you. Gaining customer feedback. Blogs are designed to be interactive. Customers can comment on your posts and share their opinions. From these opinions and posts, you can improve your product to better serve your target market. Pick your blog’s theme. Your blog’s theme is entirely up to you. That said, you’ll want to really consider color, response time, and the features you want. WordPress has free themes available that you can always start with. Start writing. Your blog’s content is what allows you to make an impact. For each post, you’ll want to plan the content, headline, visuals, and SEO strategy. Images should be incorporated to help enhance readability and engagement. And always edit your posts carefully before posting. 24. Send press releases to local and relevant media outlets. Sending press releases allows you to communicate to your small business’s audience directly. You can highlight important events, new products, or awards you’ve received. You can also build brand awareness through press releases. 25. Host an event to show off your new business. Hosting an event or open house helps publicize your business and bring awareness to it. Whether you sponsor your own event, or participate with others in a local business gathering or market, you can showcase specific products, introduce your staff, and provide free samples. All of these help customers build a rapport with your brand. This is a basic for nearly all small businesses. Advertising allows you to create messages that will reach your target audience. This is important because your competitors will be sending messages out to the same audience. You want to make sure that your customers are aware of your brand and engage with it. Advertising also allows new customers to discover your brand. 28. Collect email addresses through newsletters. You can easily publish newsletters on your blog or social media. You also can email them directly to customers. 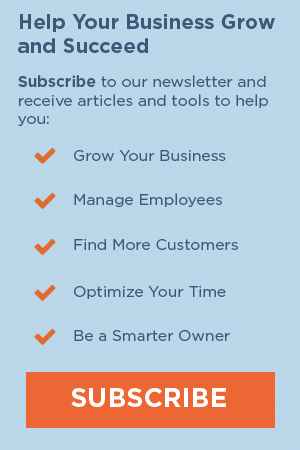 These newsletters help build trust and rapport with your customer base. They help establish a regular communication channel that can lead to a stronger business relationship. From there, your customers may feel more brand loyalty and be more likely to choose your product. These newsletters also help showcase your expertise in your industry. Others may begin to look at you as a leader. They’re also great if you have new products, services, or promotions you want to share. In addition to these benefits, social media also is cost-effective. Setting up an account is free and yields a lot of the same results as traditional advertising. That said, the best strategy for marketing your business includes both social media and traditional advertising. Creating brochures and distributing them is easy and cost effective. Brochures also provide a lot of information while personalizing your small business. Marketing materials like these help your customers build trust and awareness with your brand. They’re no doubt a classic marketing strategy that you shouldn’t overlook. It doesn’t matter what business idea you have, you likely can make it successful right from your own home. Just be sure to make sure your work environment fits you, you build a strong team, and you research your idea and target market thoroughly. Also, double check your area’s zoning-regulations, as you don’t want to set up where it’s illegal. Once you do that, the possibilities are endless. Have you considered—or are you currently considering—launching a home-based business? Or, if you already have a thriving home-based business, what were the most significant challenges you’ve overcome? Let us know in the comments.